Here are a few treasures that I picked up when I was in Ohio to add to my coastal themed home in the desert. Click on the pic of the towels to see the close-up. 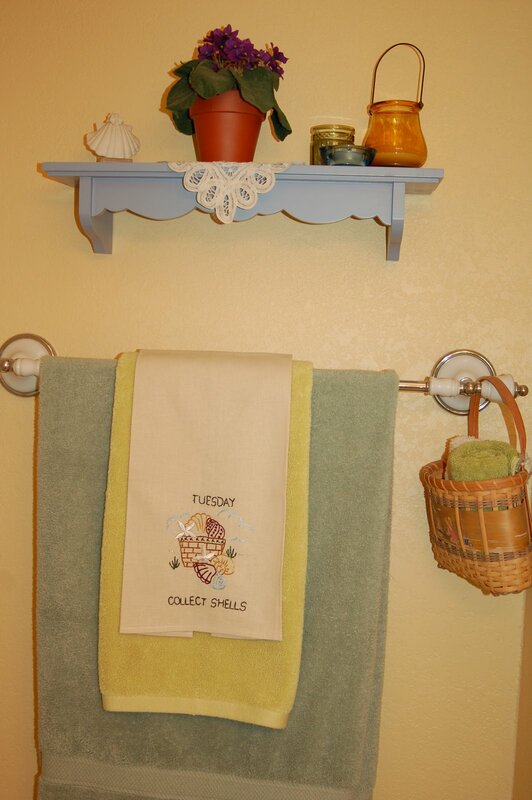 They had a different hand towel for each day of the week…all with a beach theme. They were awesome! I wish I could have bought them all. 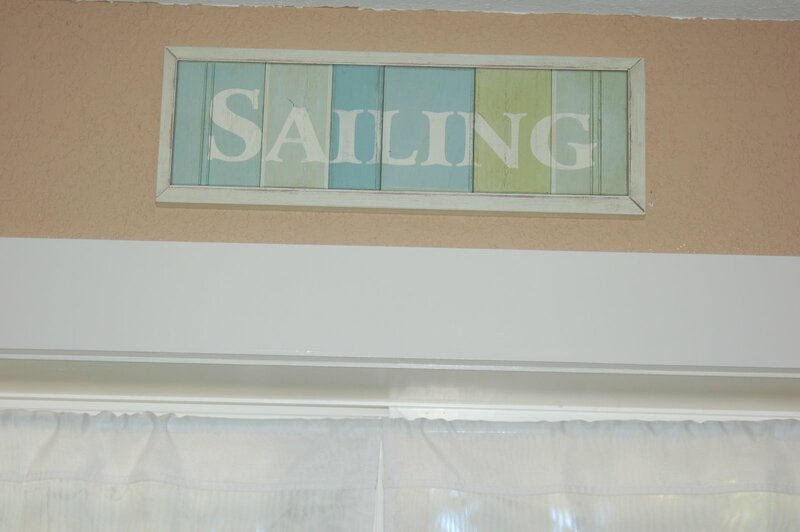 I found the towels and the “Sailing” sign at the same store, where I also ran into a woman that I went through school with. Her name was Sandy Lane and she remembered me after more than 30 years! How crazy is that! Talk about a small town! It was so strange. I found the divided wooden box at the candle store where I also found these candles and votive holders. It’s hard to tell from the picture how nice the blues are, but I love the colors. 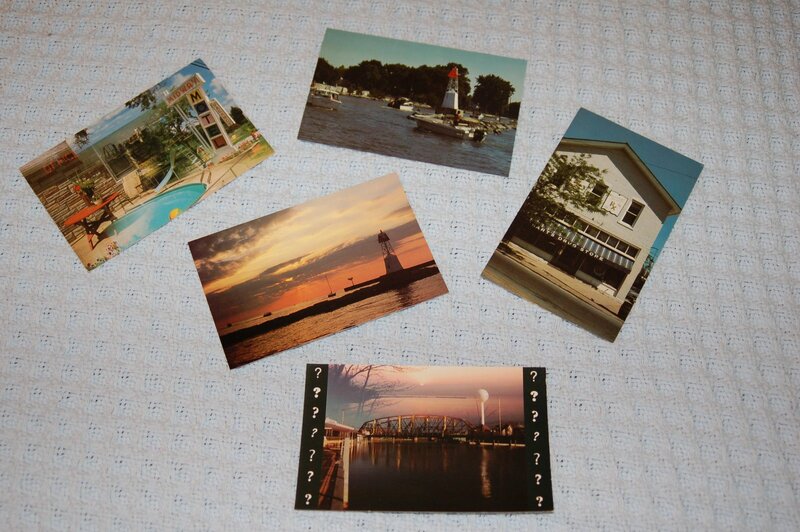 We also found these vintage Ohio notecards at an antique shop and some old Vermilion postcards as well. 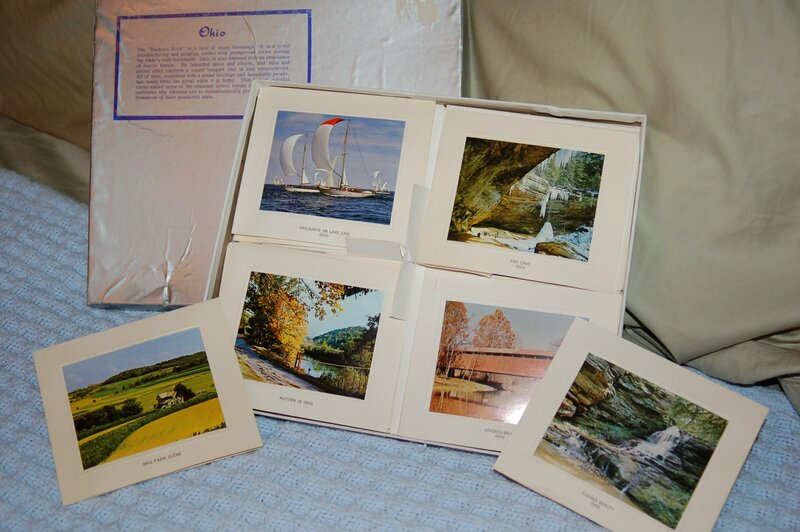 I love the notecards with the sailboats on it and the one with the barn too. I may have to frame those and hang them up. I’m looking forward to finding more “beachy” treasures when we go down the Oregon coast on vacation in July. Can’t wait!!! hey, hear that you and terry might be passing through these parts sometime soon? be sure to give me a holler if you guys have any time to say hello! 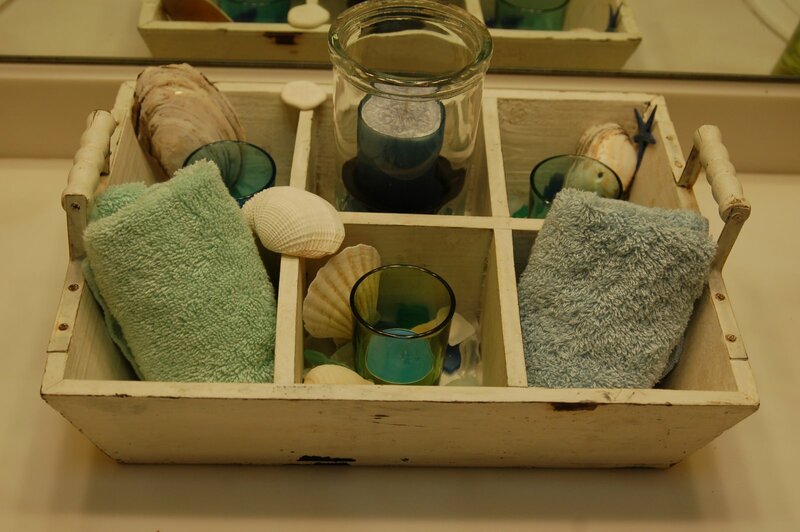 LOVE that wooden box container! Perfect for many fun beachy things! And that little tea towel is simply adorable!